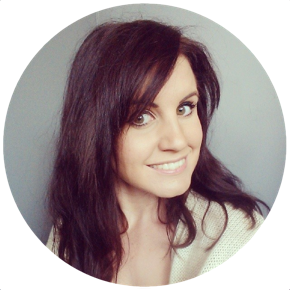 Ashleigh Lawrence-Rye: Why do breastfed babies need vitamin supplements? Breast milk is awesome y'all. It's the only food tailored to the needs of a human infant's developmental and health needs - and it's 100% natural. We are lucky to live in the UK, where we have access to up to date information, and clean water - if someone chooses to feed their baby artificially, the risks associated with formula feeding can be reduced by proper preparation. However let's remember, however we choose to feed our babies, that if you consider breast milk alongside artificial baby milk made from corn syrup and powdered cow's milk, that one is obviously nutritionally more beneficial to a baby than the other. I don't hate formula feeding parents, that's just a fact that we can shrug off, accept, and move on. So; why is it therefore, that breastfeeding Mums are advised to give their babies daily vitamin supplements from six months, where formula feeding Mums are not? This is one of the many nuggets of advice and one of the typical conversations surrounding breastfeeding that leaves people believing that breastfeeding stops being "beneficial" after six months. Because parents are advised not to feed their babies anything except breast milk for the first six months of life, it's therefore assumed that after six months, it's preferable to move on to an alternative. Of course this is utter rubbish. Your breast milk does not decrease in quality after six months, nor does it stop providing your baby with everything from stem cells (not found in formula) to antibodies (not found in formula), as well as vitamins and iron (added to formula). However, after around six months, most babies will begin to include solid food in their diets (not if they're Quinn though!) and they may no longer be getting all of the vitamins and iron that they need. 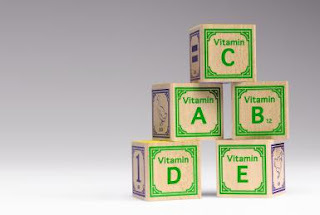 A formula fed baby is already taking vitamin supplements, and has been since they began consuming formula - so really, the advice is that all babies should be taking a vitamin supplement from six months, it's just that formula fed babies don't have to take this separately from their infant formula. One thing which is worth considering, where iron is concerned, is that this information pre-dates the common practice of delayed cord clamping. More and more babies are receiving all of the blood "owed to them" from their umbilical cord at birth. When Quinn was born, her cord was not clamped and cut until it had turned white and withered, meaning that she had her full potential blood volume inside her body. Unfortunately up until recently, immediate cord clamping was common practice (Seb's was cut within seconds of birth), meaning that baby's initial blood volume, and iron stores, were seriously short. Whilst it is advised that a baby can be expected to be using up their natural iron store by six months, this doesn't take into account that many babies will have much greater iron stores than previously expected of them, thanks to optimal cord clamping. Vitamin D is the most commonly recommended vitamin for babies. It's added to infant formula and is added to some foods, but it's really difficult for us to make enough vitamin D in the Northern Hemisphere as we spend so little time undressed in direct sunlight - and when we do, we're smothered in factor 50! We need sunlight, and preferably naked arms and legs, in order to make our own Vitamin D, and in the UK, this is less common place, meaning we're at a much higher risk of deficiency. For this reason, babies can not rely on breastfeeding alone for all of the Vitamin D that they need, and they're probably not exposed to enough sunlight either. It's not that breastfeeding is somehow letting our babies down, simply that we're not really outdoors as much as nature intends for us to be! Everything else, a baby should be able to get from the breast milk of his/her healthy Mother and a great, balanced diet. Offering babies fresh fruit and vegetables when they begin consuming solud foods is another great way of making sure that babies are getting plenty of naturally occurring vitamins, but weaning should always be initiated by the child - Quinn's not really eating yet at 38 weeks, so for her, breast milk is still her sole source of nutrition. Your health visitor can give you more information on vitamin supplements, but I'd suggest that for the Vitamin D alone, it's worth taking advice from the NHS and WHO on this one, even though your breast milk is wonderful. As with anything, you'll find plenty of people who didn't supplement and "their children are fine" but a Vit D deficiency is pretty horrible so whilst I aim to provide everything else through diet, this is one area I'm prepared to accept a little help on.